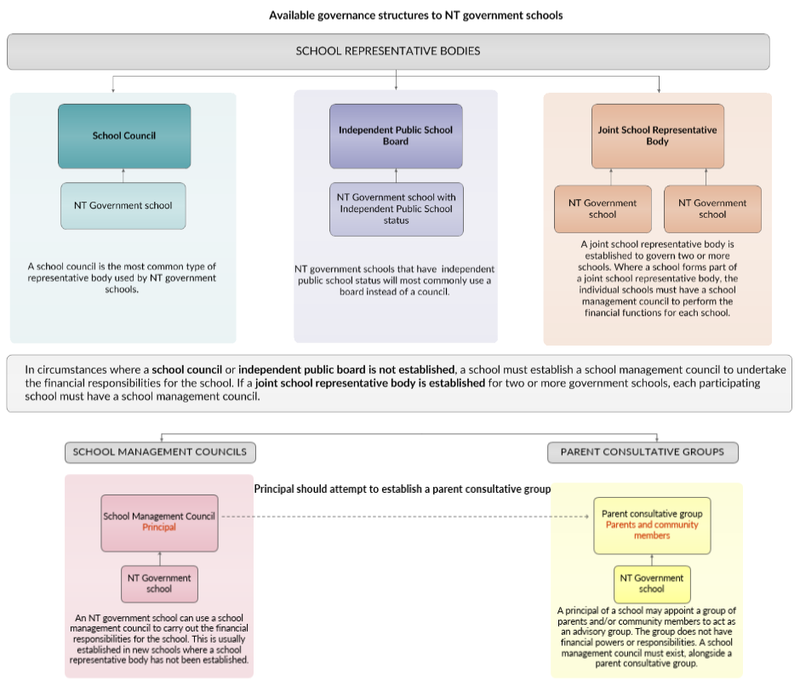 A School Representative Body is governed by the NT Education Act Part 6 Parent and Community involvement in Government Schools. A School Representative Body enables parents and the school community to provide relevant input into the decisions being made by the school. School Representative Bodies are the legal partnership process of parents, communities and schools working together for the best outcomes for our children and are legislated in NT law. School Representative Bodies are an Incorporated Body under the NT Education Act and are governed by their own Constitutions. The below diagram is from the Department of Education's School Representative Body Policy document.